One of the most remarkable results of this century in mathematics has been the classification — completed in 1980 — of all the finite simple groups. This took over 20 years and occupies almost 5000 pages in the literature, and it is conceivable that there are some errors there, so the details of classification are not really available to us, but the main results can be summarized. There are 17 families of simple groups, the alternating groups and 16 families of “Lie type”. These in turn are broken up into subfamilies in several different ways. 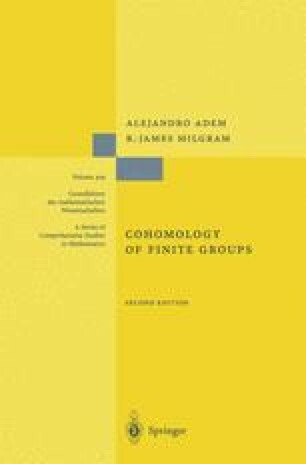 There are, first, the historical breakdowns, 6 families of “classical groups”, the projective special linear groups over finite fields, the orthogonal groups, (three types), unitary groups, and the symplectic groups. Then there are the 5 families of groups of “exceptional types”, the groups G 2(q), F 4(q), E 6 (q), E 7 (q), and E 8 (q), the q denoting the order of the finite field over which they are defined. Finally, there are five special families, the groups of “twisted type”, the Suzuki groups Sz[22n+1] the Ree groups 2 G 2[32n+1] and 2 F 2[22n+1], the twisted exceptional groups 2 E 6[22n+1], and the groups 3 D 4(q), the “triality twisted D 4 (q) ’s”. Of course, the most natural classification of these groups is via Lie theory and Dynkin diagrams. A complete discussion can be found in R.W. Carter’s book [Carter].